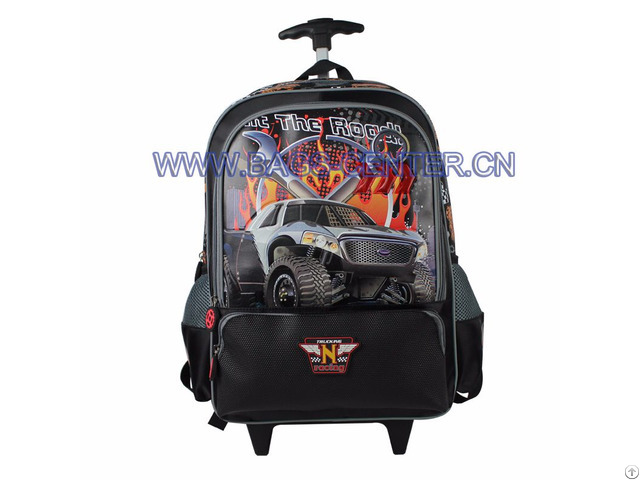 Rocking car collection backpack. This trolley bag perfectly combines the twill fabric with leather. Make car in leather emboss presents the cool feeling, rubber zipper. 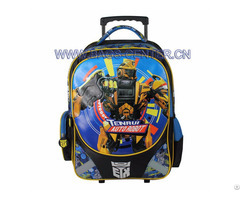 Single Handle Trolley Backpacks, 43*30*15 cm, Easy for Kids to Carry, Superior Quality, Rubber Puller. Name: Single Handle Trolley Backpacks. 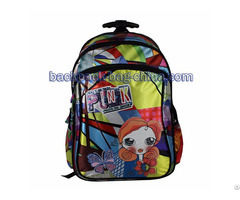 Size: 43*30*15 cm, or as customized.